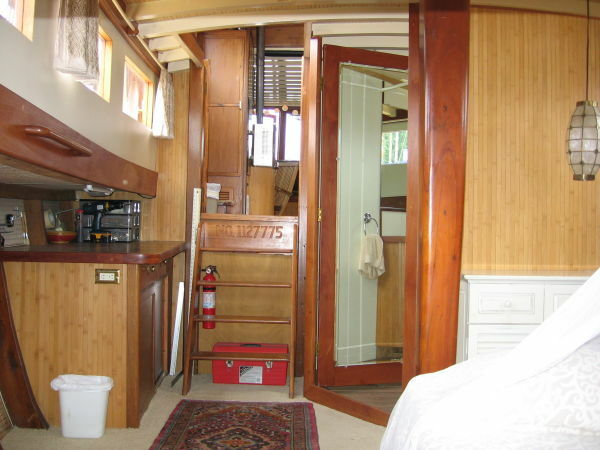 LOA: 48' LWL: 40 Beam: 15'8"
You will never find such a unique sailboat in such Bristol Condition. 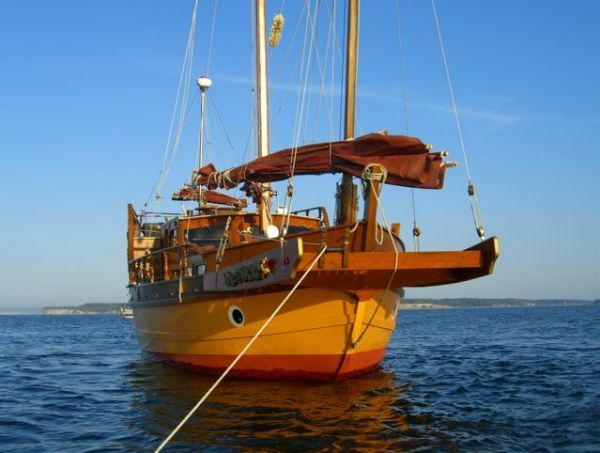 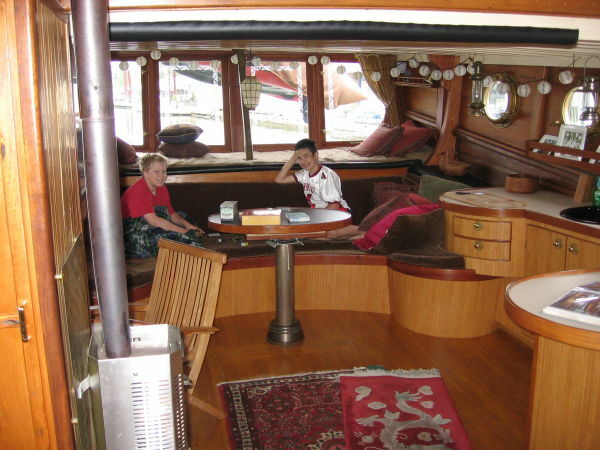 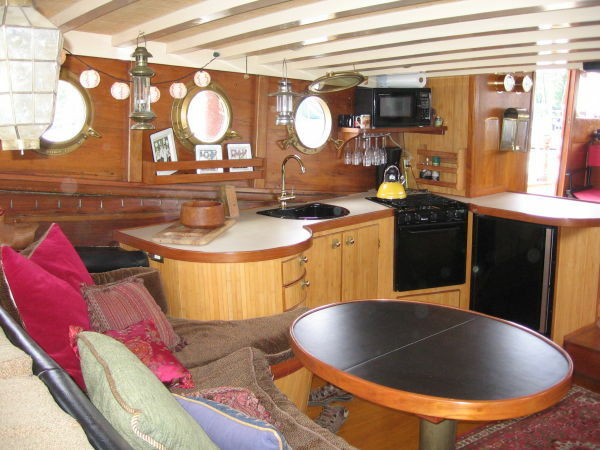 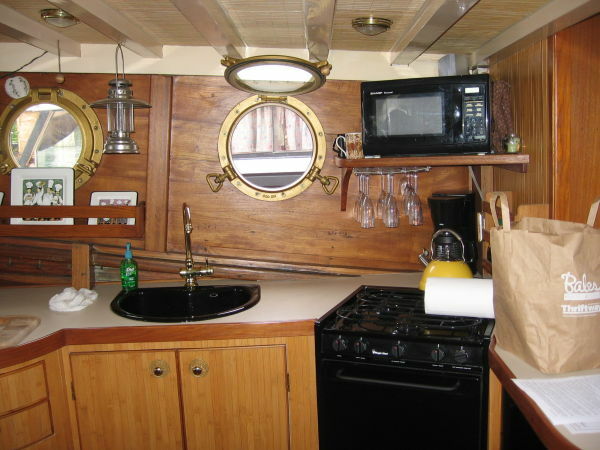 She is ideal for a live-a-board or anyone who values sailing and art. 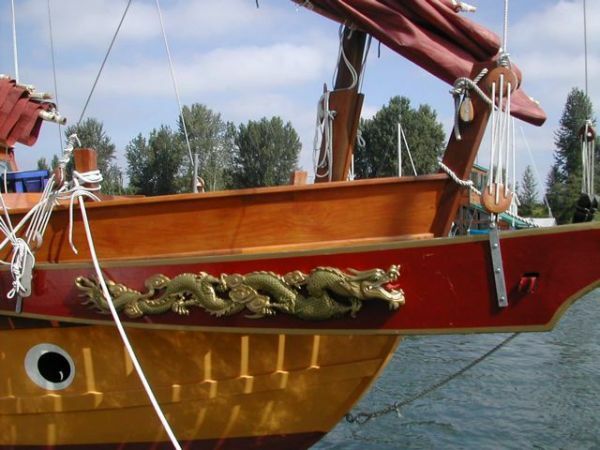 The beautiful Flying Dragon being a boat of uncommon character turns heads where ever she goes. 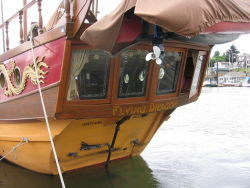 What are more interesting are the story’s you hear people tell of her very unique and colorful history. 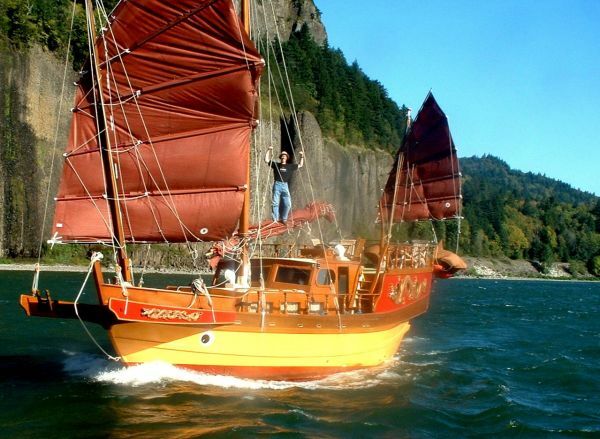 She was a fishing boat, Smuggler, Party boat, floating pavilion for the 1974 World Fair, Astoria brothel, and finally restored by and used as a floating Studio by renown Sculptor and world sailor Jerry Joslin. 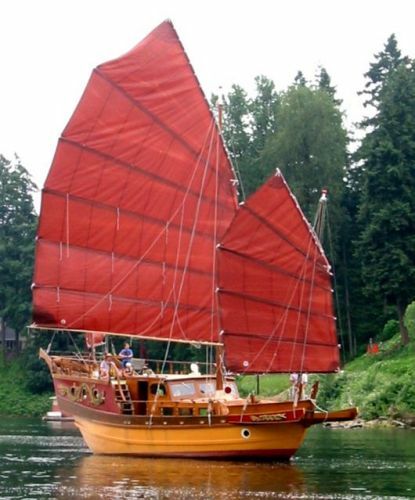 Built on the shores of Hong Kong around 1925, she spent the majority of her life as a fishing boat. 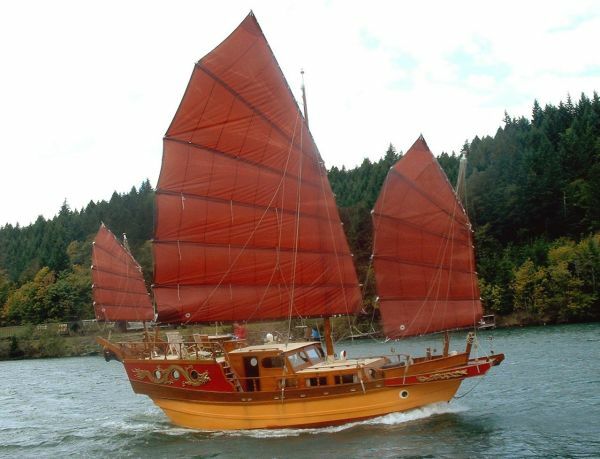 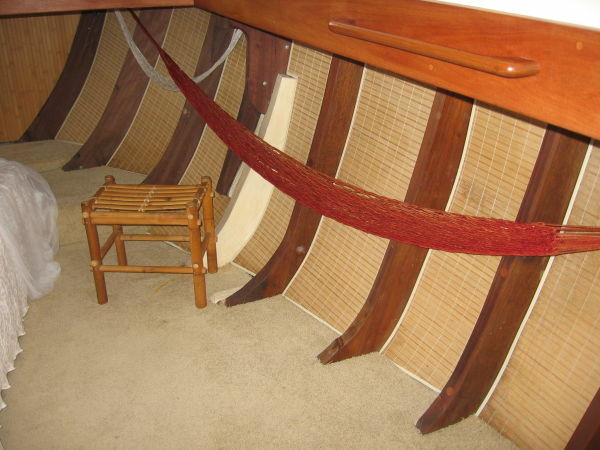 Being the Lorcha style design with a pointed prow and high stern, she was built to be sea kindly. 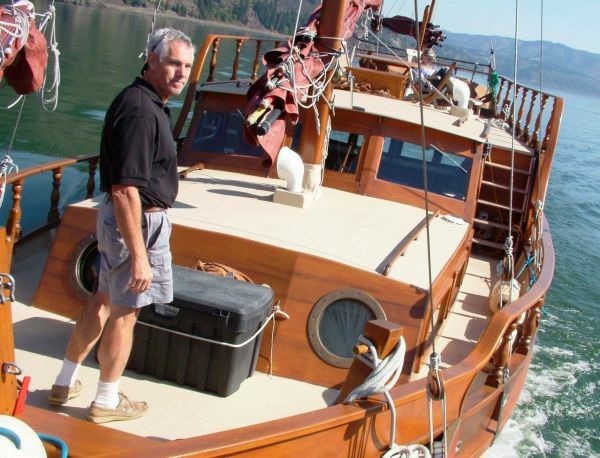 She was bought by an airline pilot and converted into a cruiser in the 1960’s. 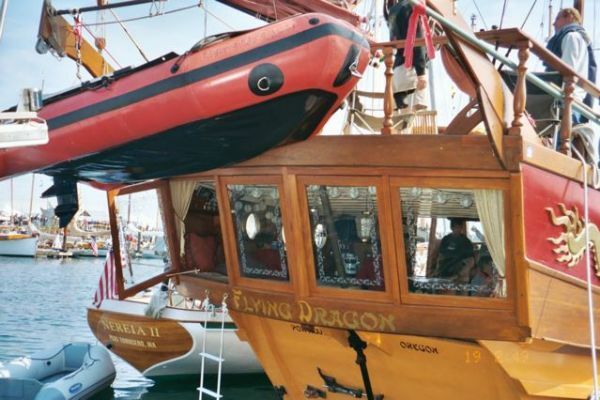 Bought by Northwest Orient Airlines, the Flying Dragon, was brought overseas to Spokane, Washington in 1974 to be the Airlines floating pavilion in the World Fair. 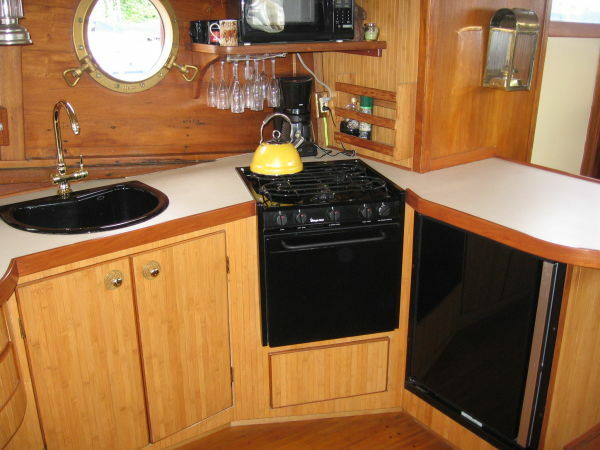 After the fair, she saw many owners and eventually ended up in Astoria, Oregon being used as a brothel. 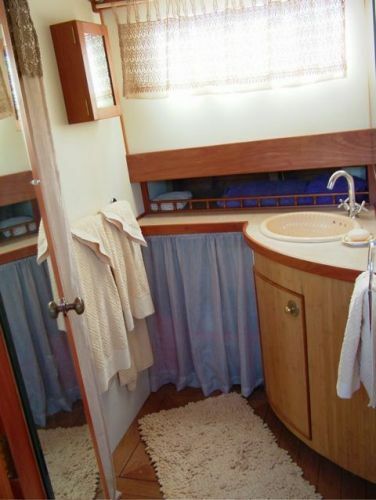 Being boarded up with a hot-tub in her for-peek, she sustained a lot of dry-rot damage and neglect. 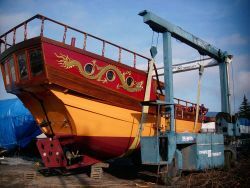 In 2001, an acclaimed artist and sculpture and his son, restored her to her former glory with the help of boatyard in Oregon.